1. The Conjuring - I loved this movie! It was one I ended up watching covering my eyes and peeking through my fingers. And no one was allowed to clap around me for at least 2 week! 2. Annabelle - Seriously why would anyone want the doll in the movie?? And why would you put it in a baby's room? Nothing good will come of it! 3. Amityville Horror - I think I've watched everything about this story - documentaries, the original movie, and the new movie. I think the new movie was actually pretty good. Ryan Reynolds did a good job of losing his mind and the special effects from the first movie were toned down a bit. 4. Young Frankenstein - And on a completely different note is this hilarious bit of craziness with Gene Wilder. 5. It's the Great Pumpkin, Charlie Brown - This is one of my absolute favorite movies and the Tornado loves it too. When he was 3 he used to just watch it on repeat but now at 5 he still enjoys it. 6. 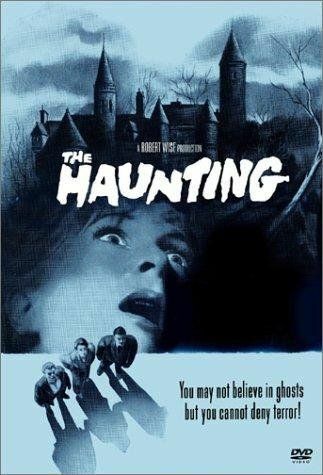 The Haunting - By The Haunting I'm referring to the 1963 adaptation of Shirley Jackson's The Haunting of Hill House. While I have a couple of issues with casting this movie has some seriously creepy bits and is responsible for why I can never let my hand hang off the edge of the bed. 7. Paranormal Activity - This movie was sneaky. We watched it on the Tornado's first Halloween when he was too little to go trick or treating or anything but we still wanted to do something Halloween-y. I was enjoying it but wasn't scared and then suddenly I realized that you couldn't have paid me to go upstairs by myself! 8. The Ring - This was the first movie in awhile that scared me senseless! Seriously terrifying. This was one I had to watch through my fingers. I'm not sure why that helps but it does! 9. Sleepy Hollow - I'm hoping to watch the Johnny Depp version of this movie this week. Somehow I never saw it but I love the story so was excited to see that it's on Netflix. 10. The Birds - I've been wanting to watch this movie since I read and was terrified by Daphne du Maurier's novella by the same name. It was Hitchcock's inspiration for the movie. I never understood how birds could be scary until I read that book. Now I can't wait! So what's your favorite Halloween movie? It's the Great Pumpkin, Charlie Brown is probably my favorite. I love watching it with my kids now. Great list! It's such a fun movie! I'm looking forward to watching it again this year. I've only seen three of these. I love Charlie Brown and the Birds is utterly creepy! We watched that one in high school and I think we were all terrified of birds for a while. I'm really looking forward to watching The Birds. I've had it recorded for ages but haven't gotten to it yet. I saw it just the other day and enjoyed it. I always forget how funny it is! Halloween movies! So much fun. I don't like really scary movies, so my kind of Halloween movies are Hocus Pocus and Casper. But I do love Sleepy Hollow! Would you believe I've yet to watch Hocus Pocus? I really need to fix that! I tend to avoid scary movies so the only ones on here that I've seen are The Great Pumpkin and Young Frankenstein. What can I say? I'm a wimp. Thanks! I enjoy a good scary movie but I'm not sure there's really anything better than Charlie Brown! LOL I am too big of a wuss. I could do Charlie Brown though! Woots! Charlie Brown is the best! 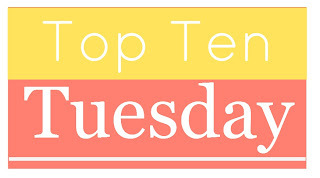 Check out my TTT and my Halloween Giveaway. I haven't! My husband has but I was too traumatized by this version! Only in movie form! I'm a huge chicken about real things! I couldn't watch scary movies for years and then all of a sudden I was obsessed!! It's weird how that works. Charlie Brown is classic. We watch it every year. I've seen Sleepy Hollow, Johnny D's version. A bit too scary for me. I've seen The Birds in high school when the teacher was on a Hitchcock kick. It was doable for me compared to today's horror movies. I'm picky on my horror. I don't like gore that so many movies seem to be. I tend to prefer the older scary movies. I love the Ring and the Conjuring is so good. I'm planning on watching the latter in the coming days in anticipation of Halloween. Hope you have a great Halloween! Thank you and you too! Enjoy the movie watching! I had It's the Great Pumpkin, Charlie Brown on my list for a hot minute. I love that one. :-) I have seen The Ring and maybe Young Einsteins. I can't remember on that last one. The original Amityville Horror was one of my first horror movies. I was ten when I saw it, I believe--at a slumber party. I have a coworker who loves the Paranormal Activity movies. She's always trying to talk me into seeing them. I've only seen the first Paranormal Activity but I really liked it. It was one of those that what you can't see is what's scary! Great list! The Entity, A Haunting in Connecticut & The Grudge. I seriously watch those movies with a hand over my eyes. I am so looking forward to Crimson Peak. Pan's Labyrinth was also an amazing/scary film. Oh I forgot about The Grudge! That was super scary. I want to watch A Haunting in Conneticut. It looks great! I've only seen the first Paranormal Activity but I really liked it! Annabel was good too. I liked The Conjuring better but it was still good and the doll was crazy creepy! I definitely have a soft spot for Sleepy Hollow! Hocus Pocus is my go to Halloween movie though :D Happy Halloween! Would you believe I haven't watched Hocus Pocus? I definitely need to fix that! Aww Sleepy Hollow was excellent! :) you simply have to watch it! As for The Ring *shudders* it still gives me nightmares today! This is coming from a girl who watched Hocus Pocus as a kid and had nightmares about human eating dinosaurs :) lol. It was the zombie that did it. I know! I couldn't walk through a dark room for monthes after watching The Ring! It's funny what gives you nightmares. For me it was The Sixth Sense. The movie wasn't scary but I had nightmares about the dead people for weeks! The Ring freaked the heebie jeebies out of me. I can't ever watch that again! So with you! Part of me wants to watch it again because I'm sure there are details I missed but I don't think I could take it! So, after watching The Ring we had to walk the dog for his nightly bathroom break. It's 11:00 at night, we live in a rural area and our pasture is surrounded by trees. He stops suddenly and just starts this low growl looking at the wood line! I tell you, both me & my husband went cold down the spine! It was a stupid possum! That'd scare me at the best of times but I can't imagine right after seeing The Ring! I'd have probably gone up a tree! I have yet to see The Stand but I want to watch it! Love zombies but I hate scary films, I can quite happily watch The Walking Dead or The Strain but put me in front of Amityville or the likes and I will freak!!! I am the exact opposite! I can watch all kinds of scary movies but The Walking Dead makes me queasy! I have to say I have not watched many scary movies in my day! I feel like I DID see The Ring though, but I don't remember much about it- maybe I am blocking it out? ;) Hope you got to watch the 2 you wanted to this year!! Great list! This season kind of got away from me but hopefully I'll get to them soon! We love to watch Charlie Brown and Hocus Pocus at Halloween. Those are two cute movies that get us into the Halloween spirit without being too scared. ;) I also like to watch the episode of Charmed from season 3 where they go back in time on All Hallows Eve. That's a fun one. I'm not one for scary movies but I did love Young Frankenstein (back in the day) and the Charlie Brown Halloween special. Good list!